Designed for industrial, commercial and institutional use, the Yale 5400LN Series heavy-duty cylindrical lockset offers no compromise when it comes to rugged reliability and performance. With key construction features such as our patented Free Wheeling lever mechanism, wear-resistant chassis plates, heavy-duty lever return springs and through-bolting, this Grade 1 trendsetter proves time and again why it's the favorite among architects and building owners who demand the highest standard of product quality. * Lever handles are Free-Wheeling in locked position. ANSI: Certified ANSI/BHMA A156.2, Series 4000 Grade 1. Fire listings: UL - cUL Fire Label for all door functions up to 3 hours. Non-Handed : Three non-handed lever options (Augusta, Monroe, and Pacific Beach) comply with ADA requirements for easy gripping and operation. Door Thickness: Patented door adjustable rose support plates allow for easy adjustment of lockset to fit doors ranging in thickness from 1-3/4" to 2". Rose spacers available for 1-3/8" thick doors. Lock Chassis: Lockset chassis constructed of heavy-gauge cold-rolled steel, trivalent chrome plated to protect against rust and corrosion. 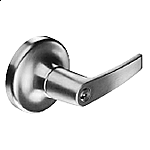 Free wheeling lever trim: All locking functions feature the patented Free Wheeling lever mechanism. When the outside lever is locked, it will rotate freely up and down while remaining securely locked. Backset: 2-3/4" (70mm) standard. Optional: 3-3/4" (95mm) and Extensions links up to 19". Latchbolt: Stainless steel with 1/2" throw. Optional: 3/4" throw deadlocking fire latch for pair of doors. Auxiliary Latchbolt: Deadlocking latchbolt prevents manipulation when door is closed. Front: Wrought brass, bronze, or stainless steel, 2-1/4" (57mm) x 1-1/8" (29mm). Strike: Wrought brass, bronze or stainless steel ANSI curved lip, 4-7/8" x 1-1/4" x 1-1/4" lip to center standard. Optional strikes, lip lengths and ANSI wrought strike box available. Cylinder: Brass, 6-pin, Y1 (PARA) keyway standard. Keying Features Available: 7-pin, Master keying, Construction master keying, Interchangeable core (IC). Warranty: The 5400LN Series cylindrical lever lock carries a seven-year warranty. Likewise, the 5400LN carries a lifetime warranty against lever sag and lever spring breakage. For entrance or office doors. Deadlocking latchbolt. Either lever operates latchbolt (except when outside lever is locked from inside). * Pushing button in inside lever locks outside lever. (Automatically releases when inside lever is turned or key is rotated in locked outside lever.) Latchbolt is operated by key in outside lever or by rotating inside lever. Inside lever always active. Patented Free Wheeling lever mechanism increases vandal resistance and reduces the amount of maintenance typically required of locksets with rigid levers. 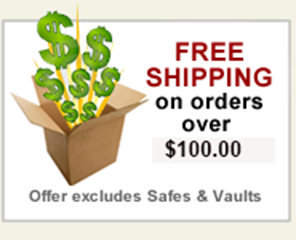 Stainless steel latchbolt provides added strength and wear resistance. Direct 1/2" throw is standard. A 3/4" latch throw for fire-rated or pairs of doors is available. Wear-resistant plates in the chassis help extend the life of the lockbody and provide smoother lock operation. Longer thread locking through-bolts through the chassis provide greater stability and prevent rotation. Lifetime warranted heavy-duty lever return springs prevent lever sag and provide positive return of lever to horizontal position. Patented (patent no. 6,131,970) door adjustable rose support plates allow for easy adjustment of lockset to fit doors ranging in thickness from 1-3/4" to 2-1/4". Rose spacers available for 1-3/8" thick doors. Three non-handed lever options (Augusta, Monroe, and Pacific Beach) comply with ADA requirements for easym gripping and operation. Expanded cylinder and keying options: - Yale? 6- and 7-pin standard and interchangeable corecylinders including Yale? KeyMark? patented keyway cylinders. - Standard cylinders with Schlage? C and Sargent? LA keyways. Small format interchangeable cores with Best? keyways. 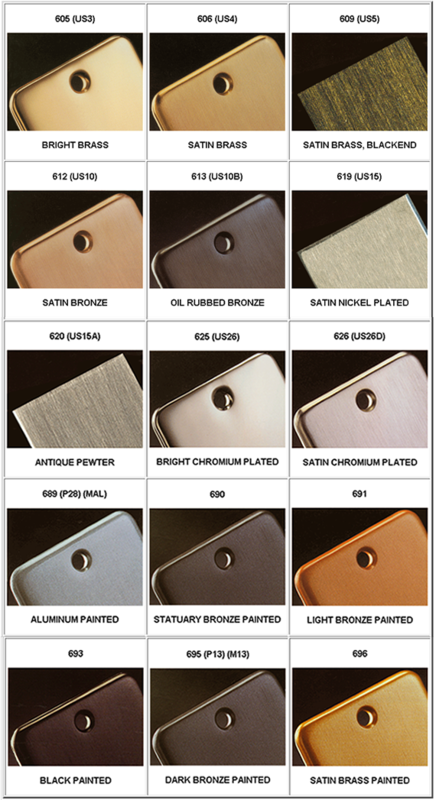 - Levers which accept interchangeable core cylinders by Best?, Schlage?, ASSA? and Medeco?. 3-1/2" roses cover ANSI/BHMA hollow metal door cutout. The 5400LN meets accessibility guidelines of the Americans with Disabilities Act and the requirements of the Uniform Federal Accessibility Standards and ANSI 117.1, all requiring ease of accessibility for the handicapped.